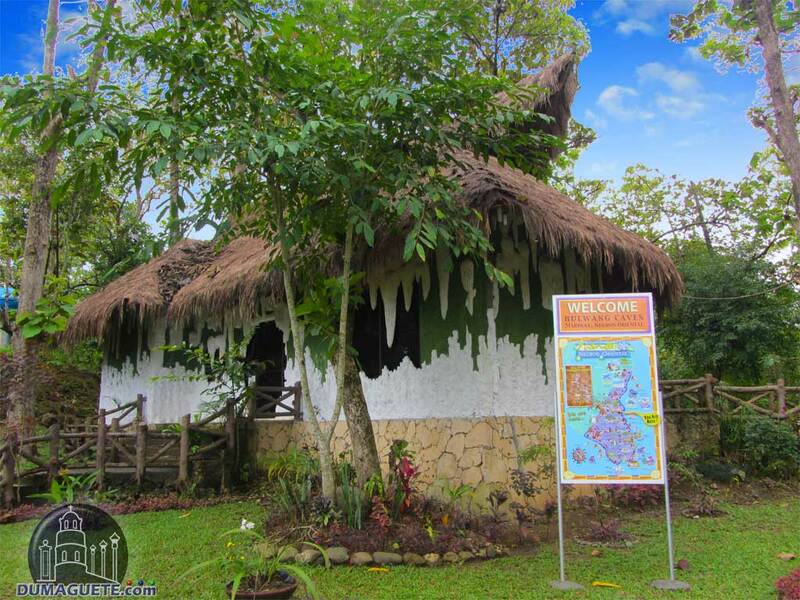 The municipality of Mabinay in the mountainous heart of Negros Island is widely known as cave-town. 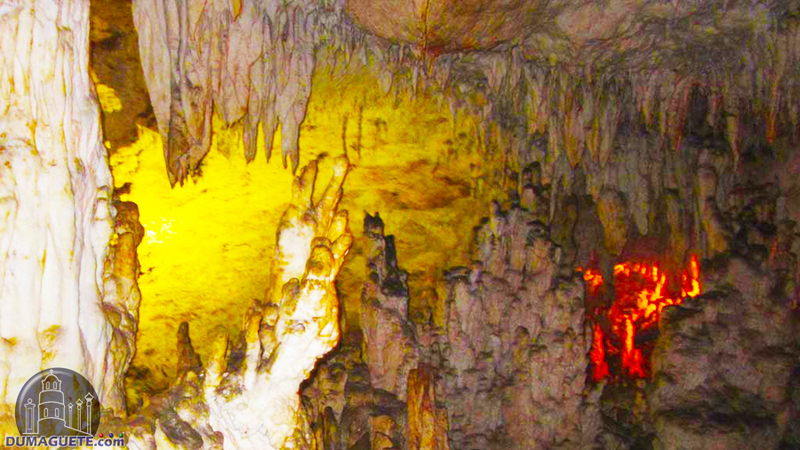 Locals claim there are over 400 caves in the municipality. Roughly 100 are known and 50 of them were explored and identified by some Dutch-Belgium team 25 years back. 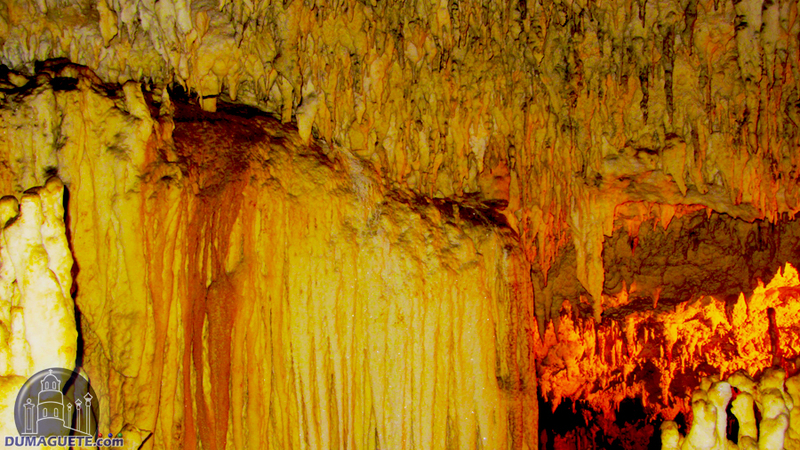 Seven of these caves can be visited and explored. While thre of these have an easy access, four are reserved for more experienced mountaineers. 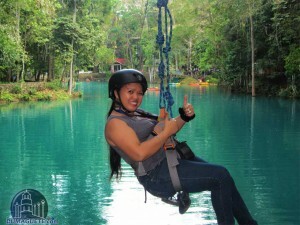 For some one needs to swim through an underground river, crawl through narrow openings or even rappelling down the entry to get into the cave. 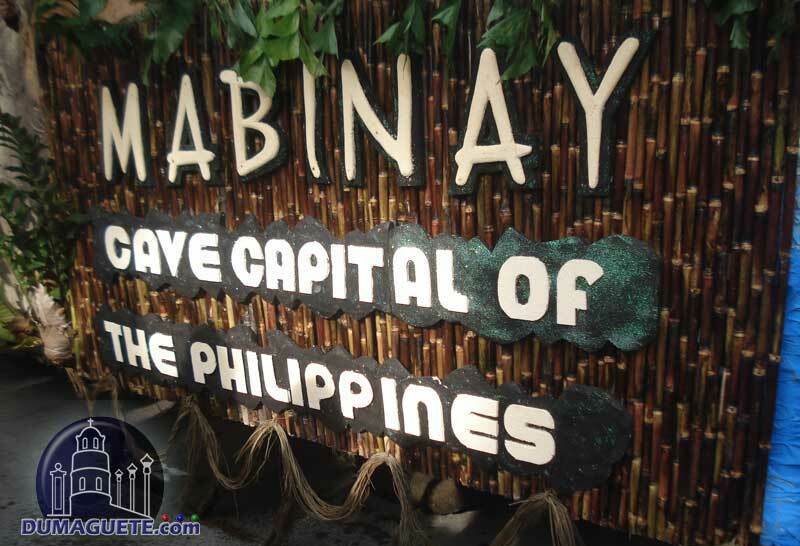 Caving in Mabinay is possible all around the year. 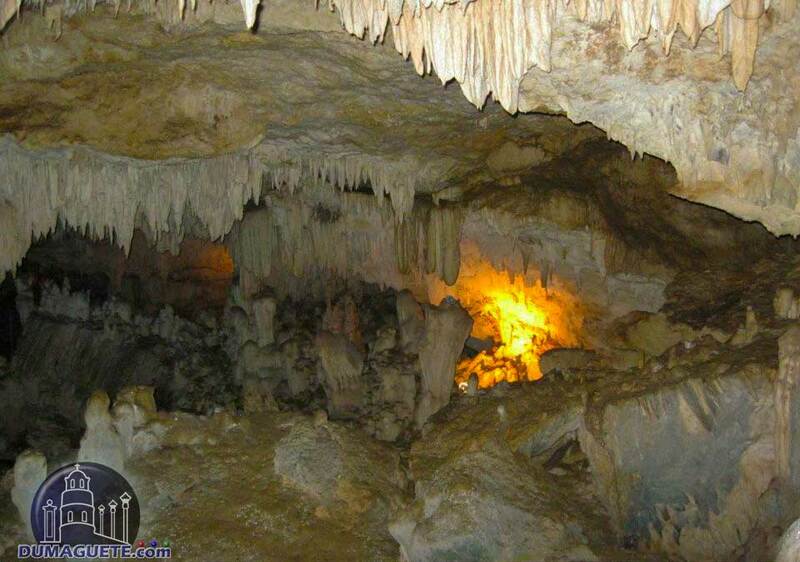 Different tour-operators and guides will show you the amazing underground world. It doesn’t matter if you are an extreme caver or simply want to stroll along secured paths. Your guide will bring you to the caves suitable for your abilities. Just make sure to wear proper foot-wear. Don’t hold back with any questions you have. Most of the caves come with a nice anecdote, which might be true, which might be just a nice story to entertain the spelunkers. 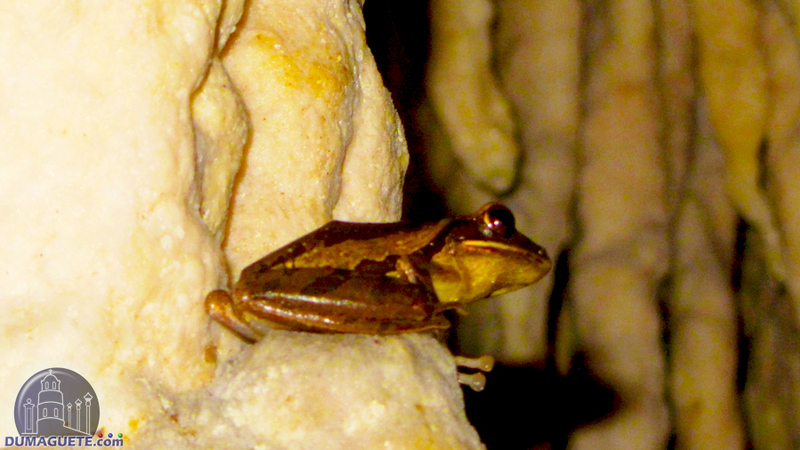 If one just wants to experience easy caves, there are a few to pick. There will be enough time to explore three smaller caves with easy access. For experienced mountaineers and cavers it is advisable to choose only one of the more advanced caves. 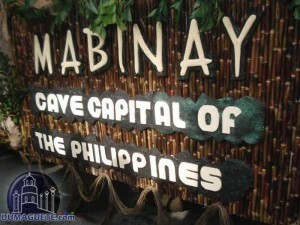 The Bulwang Caves of Mabinay are easy to explore for beginner. 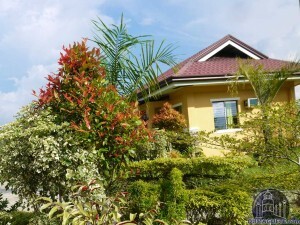 “Bulwang” means “big hole“ and is also the name of the barangay where the caves are located. From the Mabinay bus terminal it is a 20 minute ride with a tricycle. When coming from Dumaguete you can tell the assistant in the bus to stop at the entrance of the area. There are three caves open for beginners. 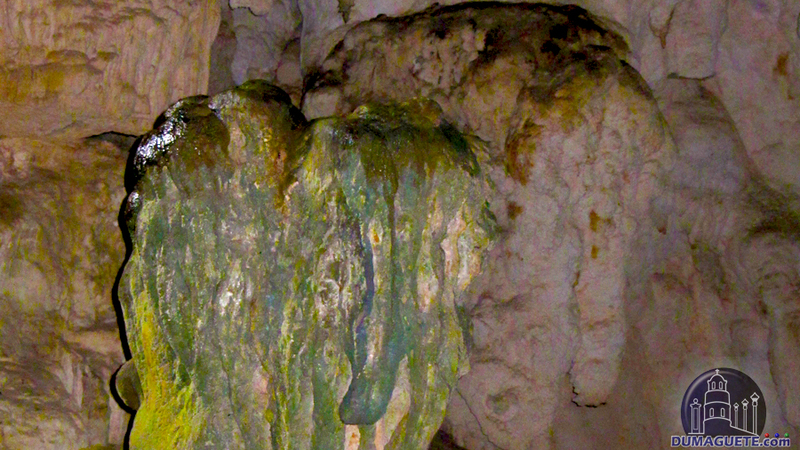 The story behind this cave is that locals brought their sweethearts to the Panligawan. 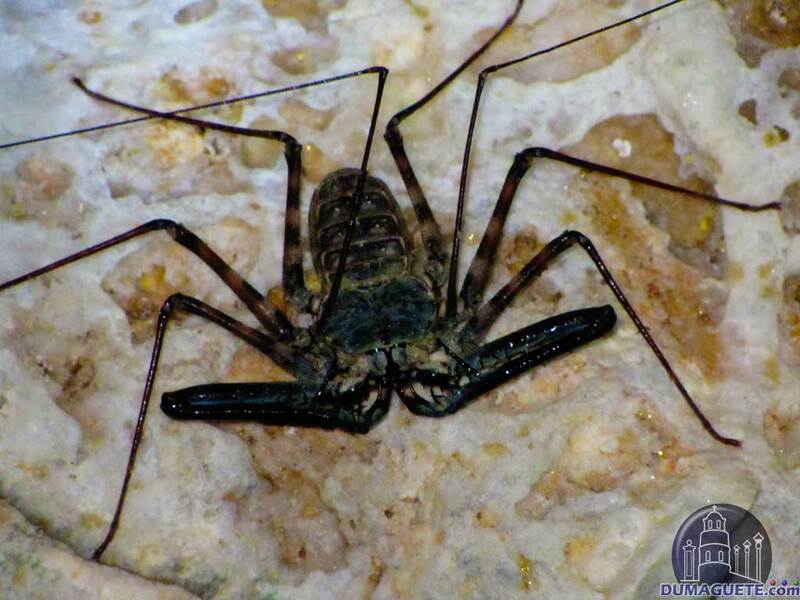 Its name originates from the local term “ligaw” which translates into “courting”. 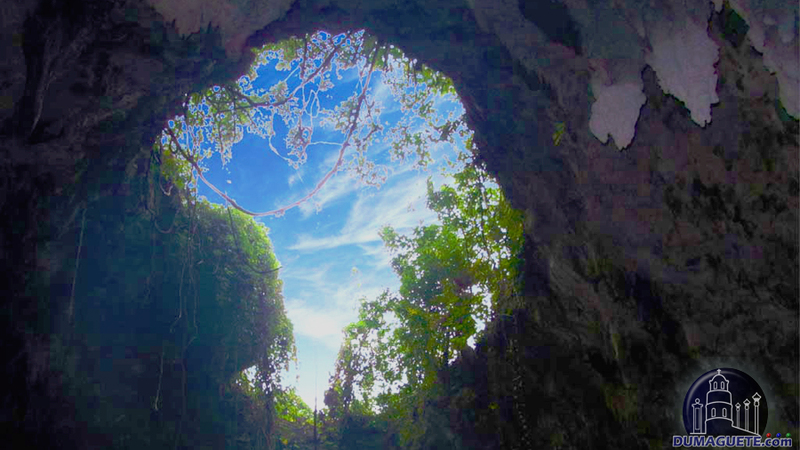 The light of the sky falls through a hole in the dome-shaped roof of the cave. A flight of stone steps provides visitors an easy entrance. Pandalihan Cave is like the courting cage popular with inexperienced hikers. Both caves are quite shallow and easy to enter. Visitors don’t need special equipment. The wedding rituals took place under the open large ceiling of the main hall. 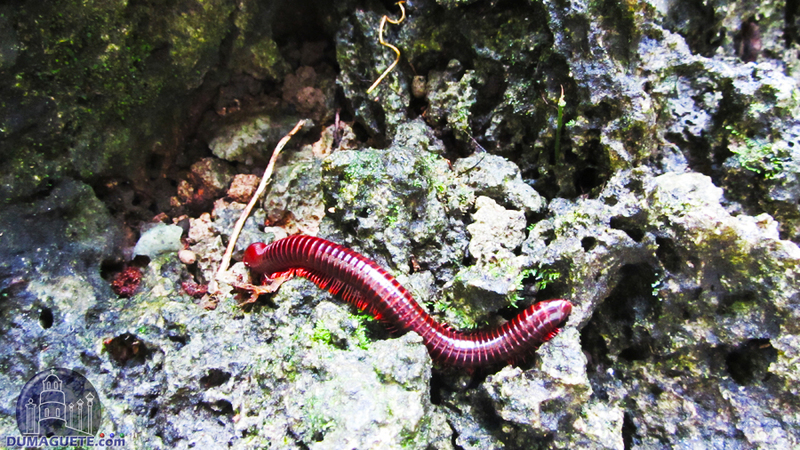 Watch out for the bird nests and millipedes in the cave. The later reach up to 25 centimeter and reach 1.5 centimeter in diameter. 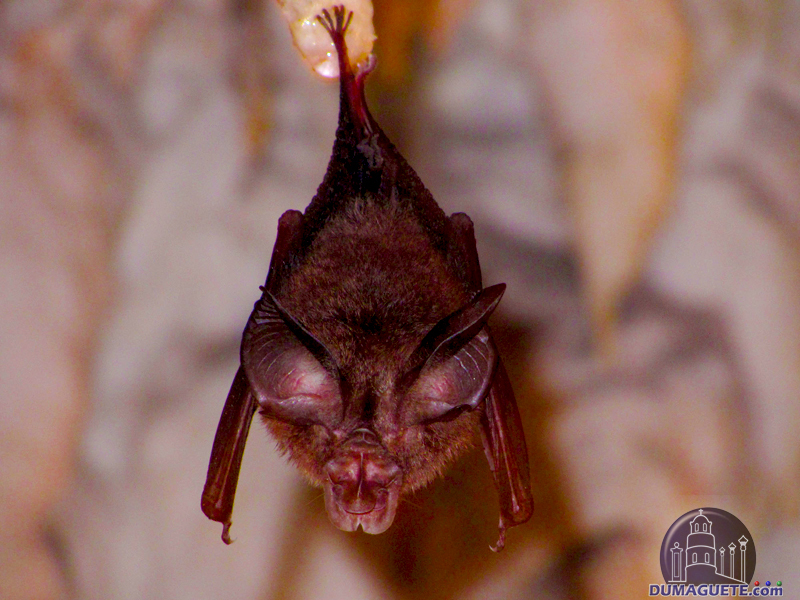 While they are peaceful creatures, they squirt a purplish liquid, which can stain your skin, when disturbed. 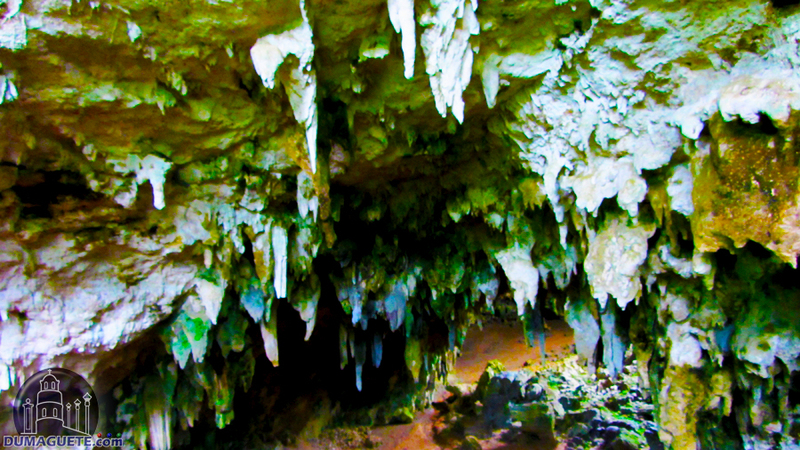 The Crystal Cave is probably the most beautiful accessible cave (at least for beginners) in the Mabinay area. It was once hard to access but the municipality took great effort to change that. 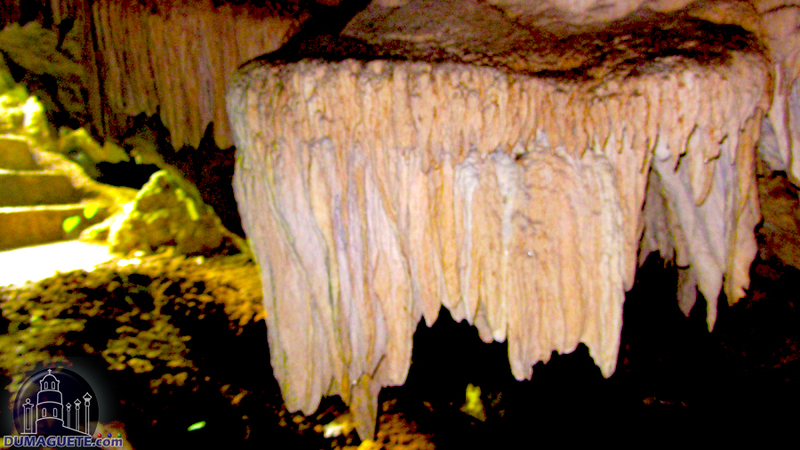 Nowadays there is a raft-like floor extension so visitors stand literally in the middle of the cave above the ground on a walkway. 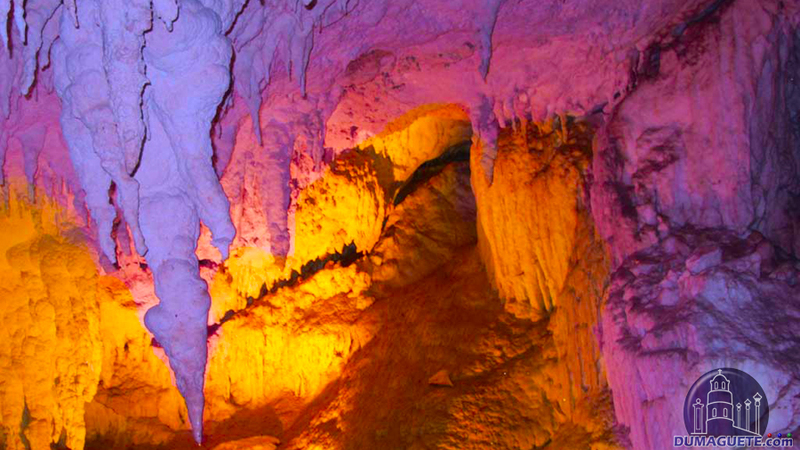 Crystal Cave is 157 meters long and 12 meters deep with a sloping entrance. 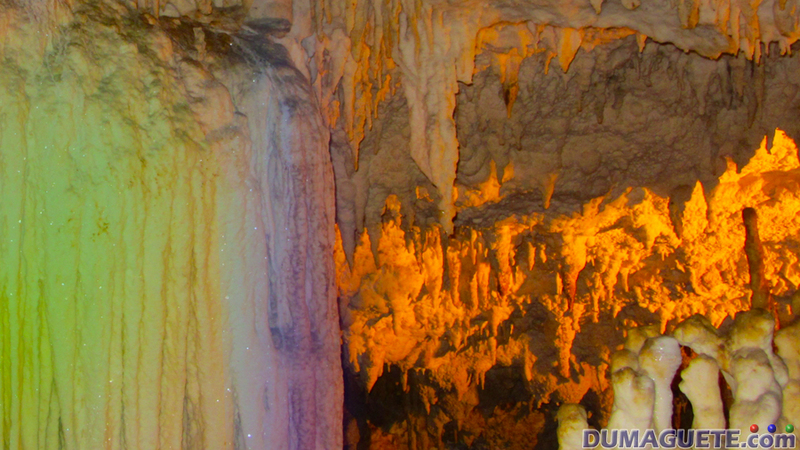 The ceiling and floor are covered with stalagmites and stalactites. 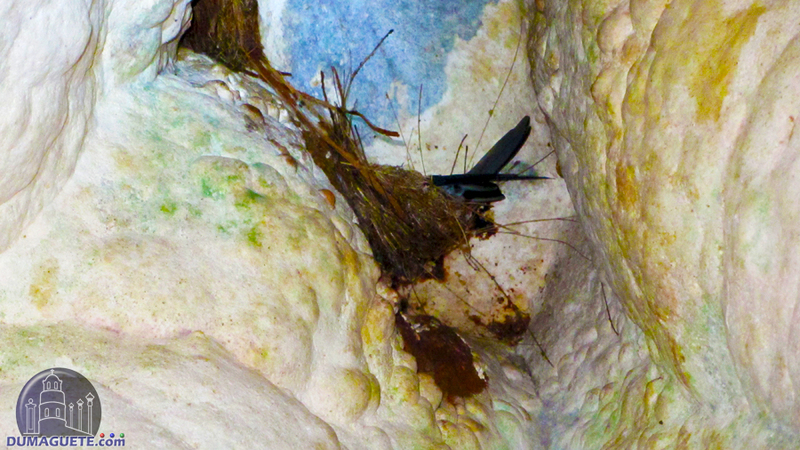 The Cave is very active and the Tailless Whip Scorpion as well as many bats and frogs can be found in there. It is not advisable to touch anything in the cave. 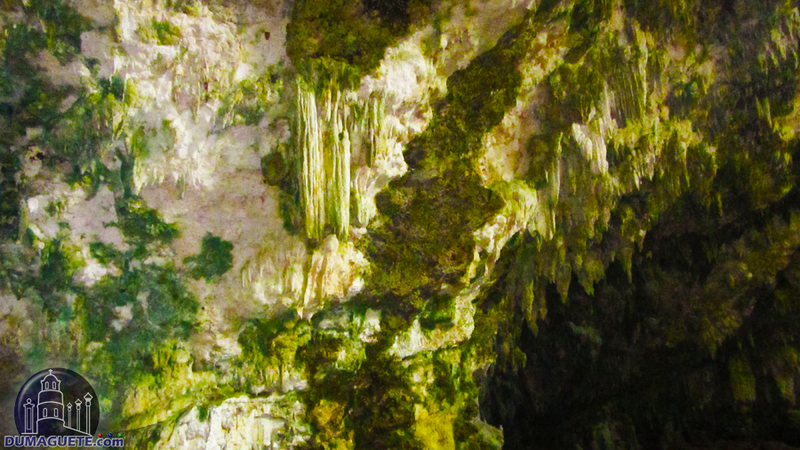 Your guide may show you some stalactites which have been touched by visitors and now changing the color due to a chemical reaction. 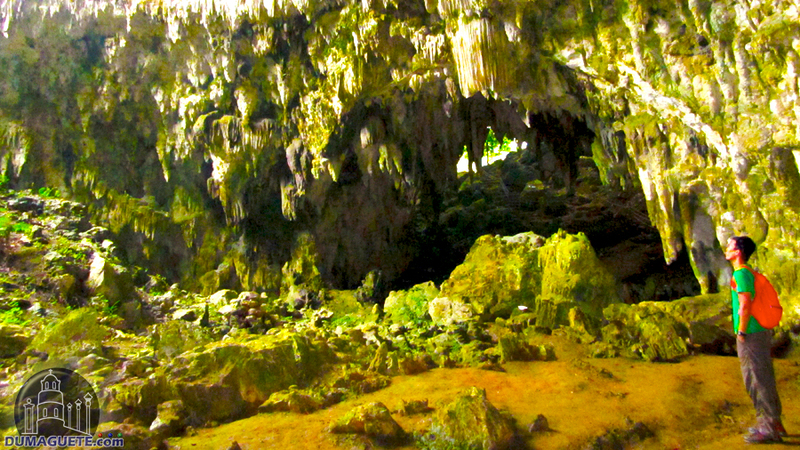 Odloman Cave is with 8,870 meters the second longest cave system of the Philippine archipelago. To enter that cave one needs to swim across an underground river or enter through a hole in the roof. The cave has a lot of large and impressive galleries which are connected vie small and narrow corridors. 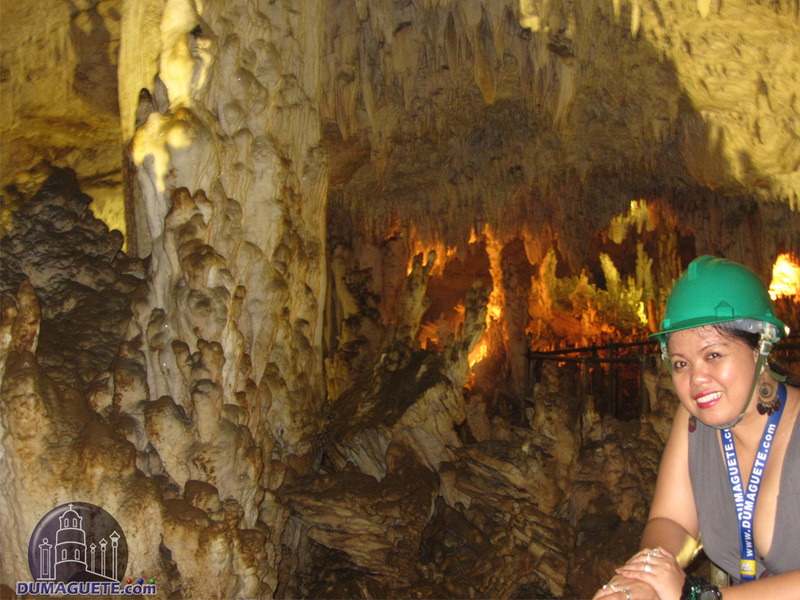 Only experienced mountaineers or spelunker can explore the caves paths. As a beginner it is advisable to have good footwear. Due to the nature of the caves slippers and sandals are not recommended. Normal hiking shoes will do. Long pants and a long-sleeve shirt make sense to avoid rushes or scratches during the hike. A good flashlight is also recommended. The guides will provide a helmet and a flash-light, but the latter is not really a top notch tool. With your own flashlight you are also simply more flexible to look into corners and small caverns. Don’t forget to bring enough water and some sandwiches. There is no restaurant close to most caves and a quick bite to eat is always recommended during your explorations.